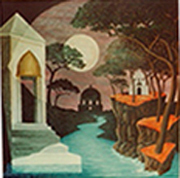 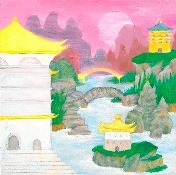 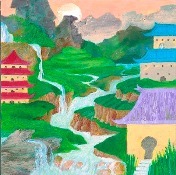 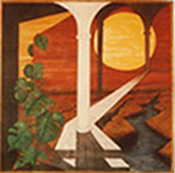 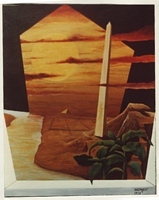 Paintings from the "Fantasy Landscape" series was first exhibited at the San Francisco Artists Co-operative on Union Street in San Francisco, California. 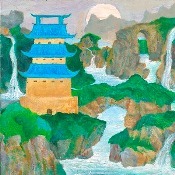 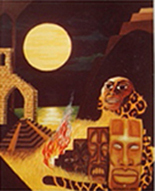 The entire series included a dozen paintings. 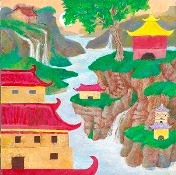 Although never exhibited as a complete grouping, these acrylic and mixed media paintings on canvas have been very successful as individual commissions and contributed to group exhibitions with other artists.